Play darts like the pros! 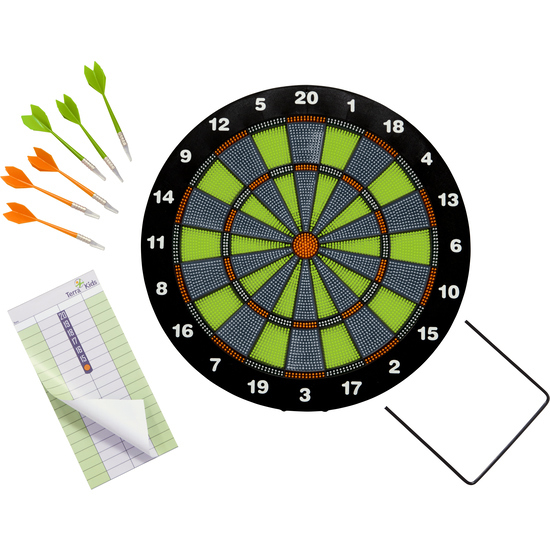 With this high-quality full-size dartboard, young darts fans can practice on their own or organize a thrilling darts tournament. Contents: 1 dartboard, 6 darts, 1 scorepad.